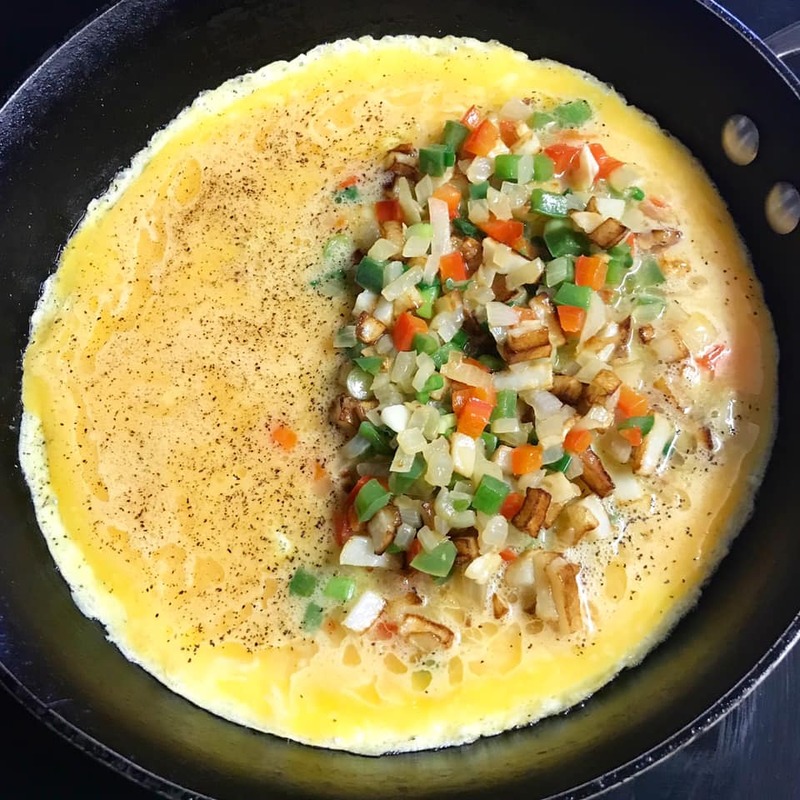 Vegetables Omelet is a healthy breakfast food and simply delicious. 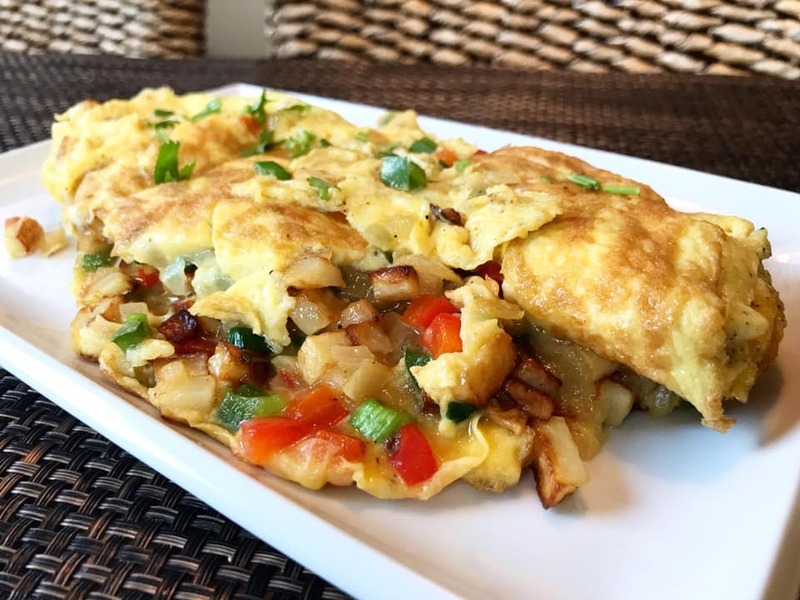 This vegetable omelet is filled with potatoes, bell peppers, onion, garlic, cilantro and green onions. I am not big on cheeses so no cheese on this omelet, more like Filipino-style Binating Itlog at Gulay. This vegetarian omelet is loaded with lots of vegetables just the way I like it. This Vegetable Omelet is simple and satisfying. You can serve this omelet with slices of bread or garlic rice. This is a great recipe that can be altered to anyone's liking. Include ham, cheese and more vegetable like broccoli and mushroom. 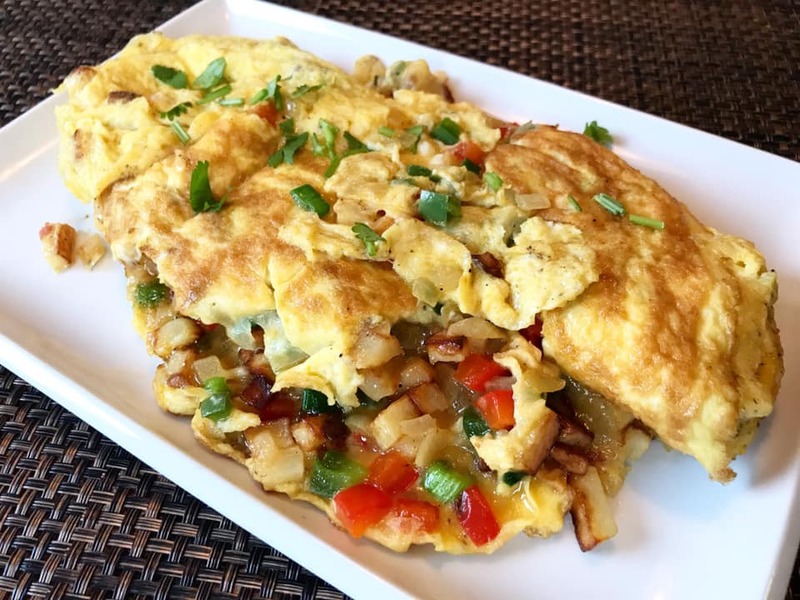 An Omelet or Omelette is a dish made from beaten eggs fried with oil or butter folded with filling such as vegetables, meat and cheese. 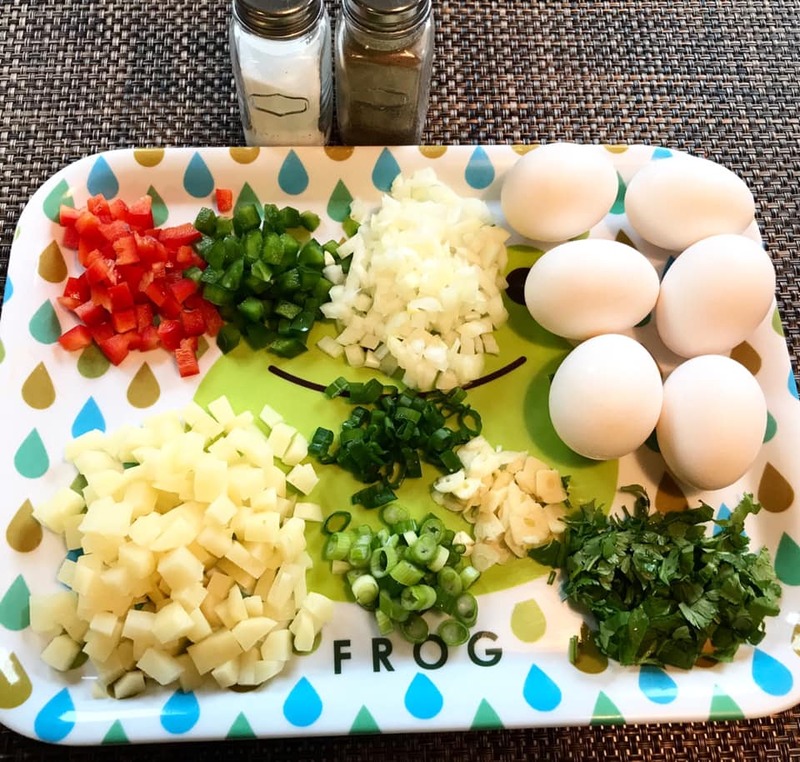 An omelet is a breakfast favorite seasoned with salt. 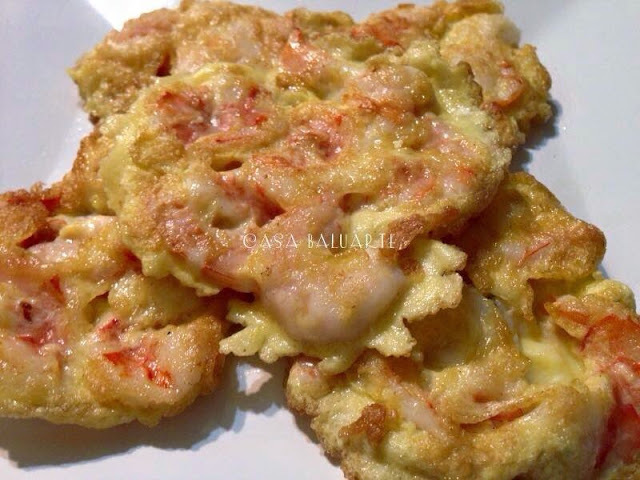 Try this delicious soft omelet that you can enjoy anytime day or night. A perfect recipe for busy weekdays. 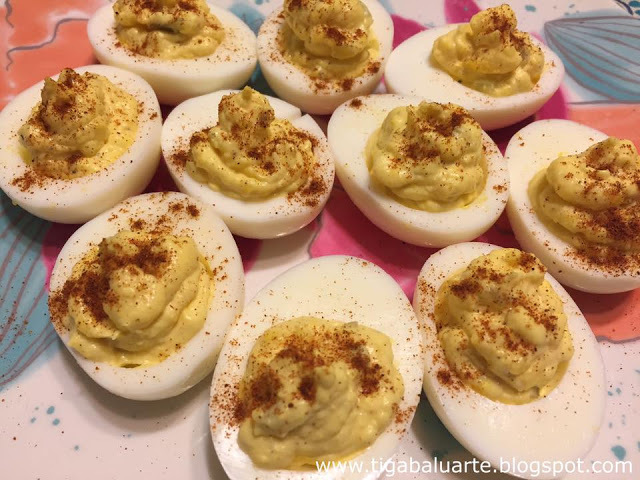 In a medium bowl, whisk egg and salt to taste. Set aside. Using a skillet, heat over medium-low and add 1 tbsp cooking oil or cooking spray. Add potatoes and cook until brown and crisp. Remove and set aside. Using the same skillet, add 1 tbsp olive oil. Add garlic and onion and stir. Cook for a minute until aromatic. Add bell peppers and stir. Cook for a minute. Remove and set aside. Using the same skillet, pour whisked egg gently. Sprinkle with ground pepper and top with chopped green onions and cilantro. Fold unfilled half of omelet over filled half and cook for a minute. Flip the omelet to cook the other side. Cook for another minute and transfer in a serving plate. Serve warm with toasted bread or garlic fried rice. Enjoy!